FBN’s Jo Ling Kent on AT&T’s new plan that allows customers to upgrade more often. AT&T (NYSE:T) said Tuesday it will start offering an option that allows wireless customers to upgrade more frequently if they choose to pay full price for their devices. The move will also give the nation’s second-largest wireless company a slight reprieve from subsidizing smartphones and tablets, which is done when customers sign a two-year contract. The new program, called AT&T Next, will begin later this month, giving subscribers the option of buying their phones or tablets using a monthly financing plan that will add payments to their normal monthly bills. After one year, customers will be able to upgrade the device. Other than the financing commitment, there are no service contracts required. Under the plan, AT&T customers can pay off their phones by making monthly payments for 20 months. Upgrading after 12 months will start payments on the new phone. Customers will be able to cancel the service at any time but must complete any remaining phone payments. “With AT&T Next, customers can get the newest smartphone or tablet every year with no down payment. That’s hard to beat, and it&apos;s an incredible value for customers who want the latest and greatest every year,” Ralph de la Vega, President and Chief Executive of AT&T Mobility, said in a statement. Wireless subsidies have buoyed smartphone makers like Apple (NASDAQ:AAPL) and Samsung Electronics while weighing on carriers, which often report smaller profits when they sell large numbers of phones. Like other wireless companies, AT&T has sought to cut back on the billions in subsidies it pays each year, as well as extend the amount of time contract customers must wait to upgrade their devices. T-Mobile recently announced a program that allows more frequent upgrades, eliminating service contracts and requiring customers to use their previously owned phone or pay full price for a new one. It also offers cheaper service rates. AT&T’s new program can be used with any subscription plan, although prices will remain the same. 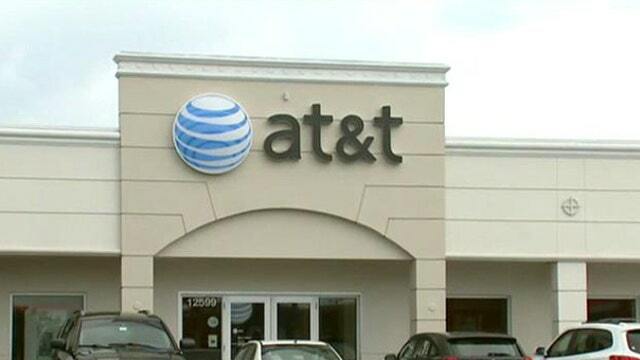 Shares of AT&T were up 22 cents at $35.77 Tuesday morning.